Due to popular demand, we will be hosting our 5th Art Under the Bed Sale. 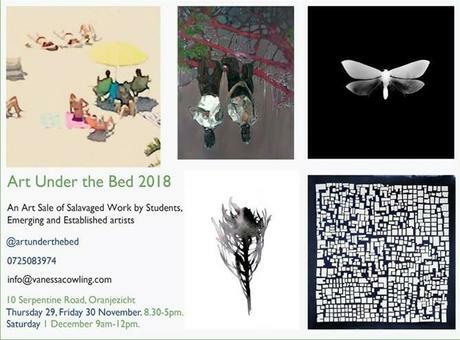 Art Under the Bed, is a collaborative art sale between emerging and established artists and art students. As artists we often make large amounts of beautiful work that gets “stored” under our bed’s at the end of exhibitions and exams. It is time to salvage this amazing work and bring it to an audience in much need of affordable, unique pieces, in an informal, relaxed environment. Please contact me if you require any further details. Also, follow our instagram feed, @artunderthebed for updates on work.